Troop sign up for 2019 Scout Summer Camp is now OPEN! Units can sign up for 2019 Scout Summer Camp by using the buttons in this article. Units pay a $50 fee if they sign up prior to 11/1/2018 and $100 for later sign ups. You will be asked to estimate the number of Scouts. Campsites will be assigned by the Reservation Director prior to the Tuesday Pre-Camp Leaders Meeting. Unit preference is taken into account. It is our goal to make campsite assignments so that all units can comfortably reside in camp for the week. ​Click on Link to Reserve a Campsite and begin your 2019 Adventure! Need to talk to someone in person at assist? ESTIMATED YOUTH & ADULTS - When you register you will be asked to enter the estimated number of youth and adults who will be attending camp next year. We know these numbers will probably change, however they will help in our planning. 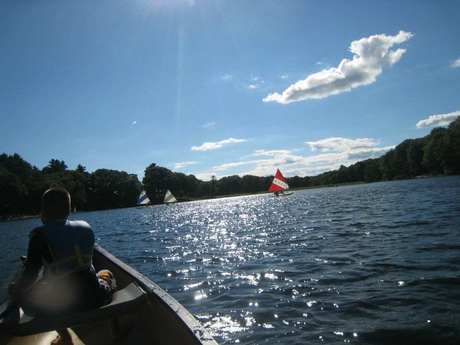 CAMPERSHIPS - Beginning in 2013 the Connecticut Rivers Council will require a copy of the front page of a family’s most recent Form 1040 in addition to the campership application. This practice is consistent with other major institutions providing camperships, allows the council to make an informed, needs-based decision, and improve our ability to support those Scouts who truly need assistance.